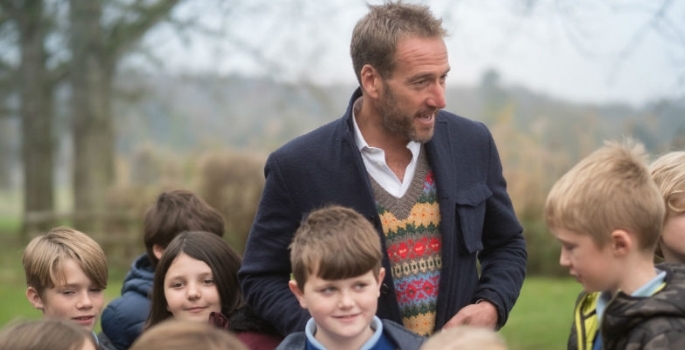 Following his reaching the summit of the world’s tallest mountain earlier this year, TV presenter and adventurer Ben Fogle recently returned to his educational roots in the heart of Dorset. 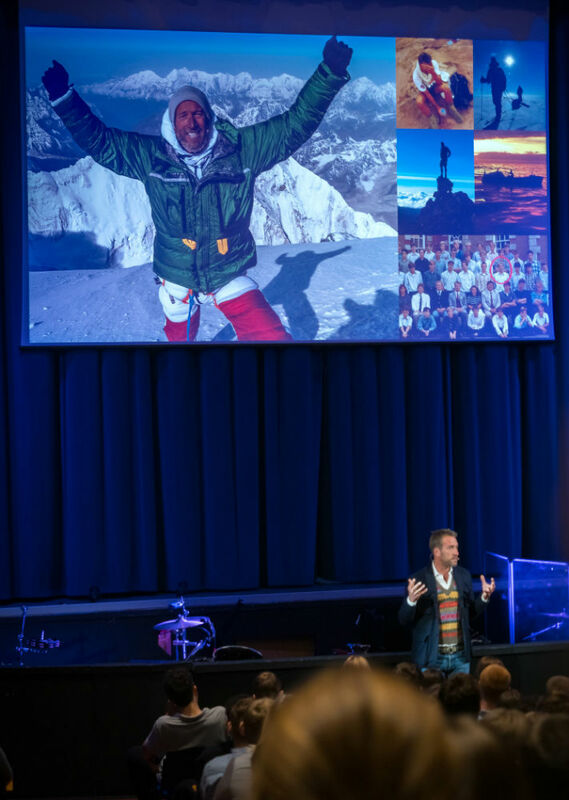 Pupils from Bryanston School and Durweston CE VA Primary School were provided with an insight into the challenges he faced on Mount Everest, as well as his many other adventures around the globe. UN Environment Patron - and former pupil of Bryanston - Fogle took the opportunity to meet with a number of his former teachers and school Head, Sarah Thomas. He also met with senior pupils, gold Duke of Edinburgh Award participants, high achievers in the school’s Performance Sport Programme, and 22 young pupils from the neighbouring primary school. In a presentation for Bryanston pupils, he explained how the school helped to open his eyes to the wonders of the natural world and encouraged him to rise to new challenges and pursue his dreams. “Having spent my early childhood in central London, Bryanston provided a completely new experience for me and I never looked back,” he said. 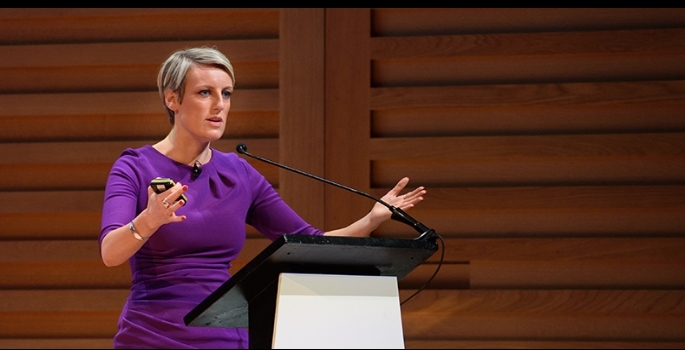 “Reading about the first ascent of Mount Everest by Sir Edmund Hillary in the school library was truly amazing, but I never thought I would one day be following in his footsteps. Bryanston helped to set me on course and was very important in helping to define my own sense of purpose and providing me with the mental resilience and confidence to say ‘yes’ to every new challenge that has come my way. “I am particularly grateful to the school for recognising that a rounded education needs to include experience, guidance and encouragement beyond pure academia. Many of the friendships I made during my time at Bryanston are still strong 25 years later. 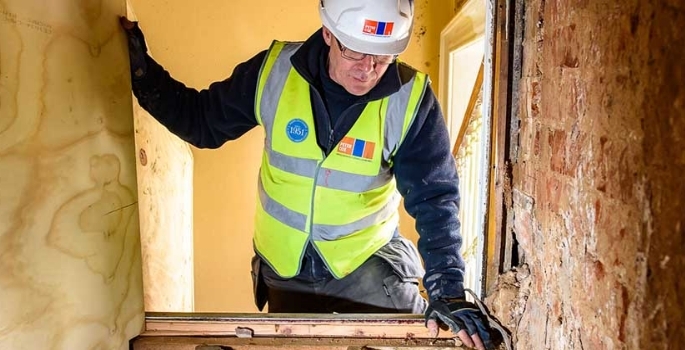 And the fact that my friends from my school days are now working in such diverse fields is testament to the school’s ability to develop the personal strengths and interests of individuals. 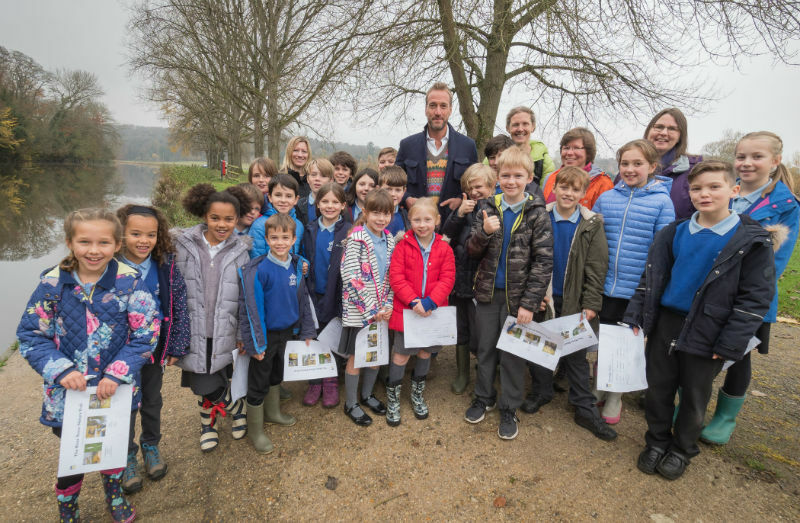 The primary school pupils joined Fogle on the banks of the River Stour, within the grounds of Bryanston, to hear about his experience of swimming with wild crocodiles on the Okavango river delta in Botswana. Each pupil had written a letter to the school’s headteacher to explain why they would like to meet the TV star and adventurer. 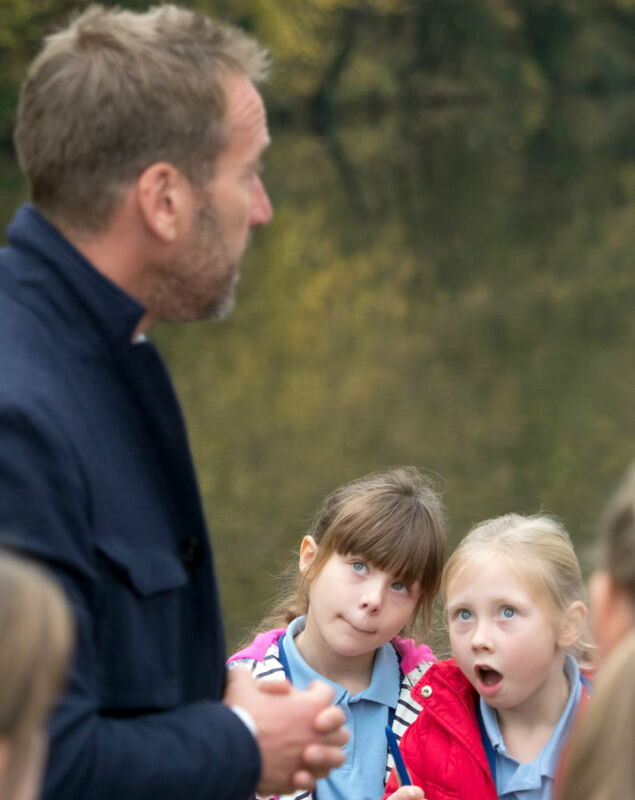 And, after answering their enthusiastic questions, Fogle explained the important role the younger generation has to play in helping to protect wildlife and the environment.